Newcomer Family Obituaries - Charlene L. Brown 1935 - 2019 - Newcomer Cremations, Funerals & Receptions. Brown, Charlene L., “Charlie Brown”, 83, of Kettering, passed away January 20, 2019. 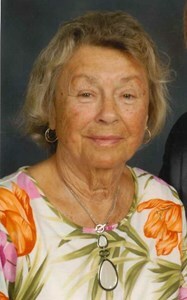 She was a 1953 graduate of Fairmont High School and retired from Kettering City Schools after 25 years. Charlene loved volunteering for the City of Kettering for many years. She was preceded in death by her parents, husband, Ron and daughter, Cindy. Charlene is survived by her daughter, Pam (Rod) Weirauch; grandchildren, Tim(Jessica) Weirauch, Steven Weirauch, Ryan Brodowski; sisters, Phyllis Mays, and Eloise Cunningham. Visitation will be held on Saturday, January 26, 2019 from 12:00pm until time of service at 2:00pm at Greenmont Oak Park Church 1921 Woodman Dr. Kettering, 45420. Burial at Woodland Cemetery. In lieu of flowers, donations may be made to Hospice of Dayton or Dayton Children’s Medical Center in Charlene’s memory. To share a memory of Charlene or to leave a special message for her family, please click the 'Share Memories' button above. Add your memories to the guest book of Charlene Brown. I've had a heavy heart all week that I couldn't be in Dayton with you today. The last time I saw Charlene she was in Kettering Hospital. From that visit I am so very happy you shared your video. The video brought back so many memories from throughout the years. Her sassy smile and tease, her zest for life. We played softball together one summer -something I'll never forget. She was my savior in Triangle Park when lost on the elephant slide! She was the first one up at the reunion to pass lifesavers on toothpicks with Uncle Butch or run the sack races with Phyllis. I was always happy to go visit Charlene. She was the life of the party - at least to me. Keep watching the video and smiling. She was the best! I loved working with your mom at KMS. She was a firecracker. I remember how good her meatballs were and she didn't want to give us the recipe but gave in and gave it to us. I have not seen her in years but have definitely never forgot her. I'm so sorry Pam. Charlene lived a life overflowing with all of the essentials in life: family, friends, fun, Flyers and of course Fairmont. As sad as it is for her to leave all of this behind, it is tolerable because she is at peace now surrounded by her loved ones in heaven. Thank you Charlene for all the fun you brought with you. I love you Pam and I am sorry for the loss you and your family are feeling. ~ Love, Sharon. I had the honor of knowing Charlene in her later years. After reading the other memories, I realize she never changed. She was still funny, stubborn and you knew she loved you. My sympathies to her family. I’m positive there’s a new ray of sunshine in heaven. I came to know Charlene and Ronnie through Darlene Zimmerman Bristol. I found them to be very friendly and welcoming. Because I am a native of the Buckeye State, I recognized their work ethic, sense of fun, and love of sports that is typical of Ohioans. I send my sincere condolences now at the passing of Charlene. Both Charlene and Ronnie led full, productive lives in a Christian way, and were loved and appreciated by many. Charlene was such a hoot and I loved hearing the stories of when Charlene, Darlene and girlfriends where growing up. I will always have fond memories of Charlene and Ronny when visiting relatives in Beavercreek. They are together again. Prayers for family healing. I will miss my dear friend. We shared many good times together and kept in touch even though we were thousands of miles apart. Be happy again, Charlene! I have many fun memories of when Janet and Charlene would meet each other. They always acted like they saw each other yesterday even when it might have been months or even a year. I hope they meet each other in Heaven and carry on their friendship. Janet went to Heaven on December 20th. I am so sorry for your loss. I know you always took her to her and Janet's favorite place and let her have her fun Pam. Rest in peace Charlene. Rest In Peace old friend. We have such good memories of all the good times we had together. We will miss you.